Listen here for audio of radio interviews about films from a Christian perspective with Pastors Ted Giese and Todd Wilken on IssuesEtc.org where Christianity meets culture. The banner below leads to a discusion of the Golden Globe awards at the 19 min mark Giese and Wilken talka boaut La La Land. 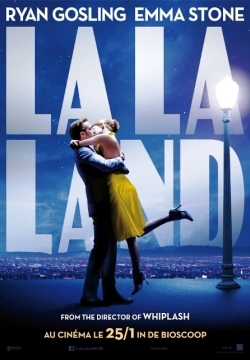 Damien Chazelle's film La La Land (2016) is a modern original musical telling the story of two young people living in Los Angeles trying to make their dreams come true in Hollywood. This is a love letter to a bygone era of Hollywood, an homage to a time when movies like Singing in the Rain (1952), West Side Story (1961) and The Sound of Music (1965) were all the rage. Mia (Emma Stone) is an aspiring actress and Sebastian (Ryan Gosling) is a struggling jazz pianist. They keep running into each other and eventually fall in love. It's an honest-to-goodness musical so there's a lot of singing and dancing. Viewers who aren’t prepared for that will need to buckle up. Is the singing and dancing any good? Is it West Side Story good? While Emma Stone is not a professional singer she has done some work on Broadway and she does a fine job in the film. Since she’s not super polished there's a natural quality to her singing which might drive a vocal coach nuts but the average person might hear their own voice somewhere in her performance. Ryan Gosling however is a musician. The Canadian actor has his own band called "Dead Man's Bones" and he learned to play piano for his part in La La Land. Overall, he does a very good job as a sort of a singing, dancing, less violent, version of his character from Nicolas Winding Refn’s 2011 film Drive where he played a moody, obsessive, driven man who finds himself in love when he wasn't looking for it. 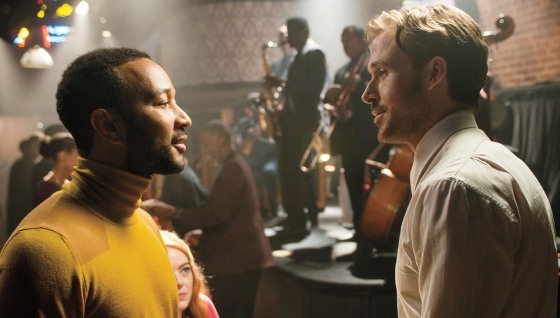 La La Land deals with the question: Can a person find true love and still follow their dreams? It also looks at how "dreamers" must sometimes compromise to stay together. Director Chazelle plunges deep into how compromise effects the initial dreams of Mia and Sebastian. The film’s dramatic tension rides the edge of watching how it all plays out. Viewers watch and ask what will happen if Mia and Sebastian choose their dreams over their relationship and vice-versa; What will happen if they choose their relationship over their dreams? Or what will happen if one person’s dreams take the back seat to the dreams of the other? The natural by-product is an investigation of regret. At its best La La Land shows how difficult it can be for people in the arts to be truly happy for the success of another—even if they are as close as a boyfriend or girlfriend. Viewers may have experienced this same sort of thing in vocations far-flung from the arts. Keeping all this in mind, Christian viewers may also be struck with an interesting side question: What would happen if the writers dropped a marriage proposal into the middle of this film? Essentially Mia and Sebastian are struggling with their commitment to their dreams, but the commitment of a marriage seems very distant. This story falls into the common modern North American fallacy that couples “must have all their ducks in a row” before they can settle down, get married, and have a family. There is another interesting theme running through the film. Sebastian has a reverence for the tradition and history of jazz music. He has disdain for those who disrespect this past and he believes people would love the past if they only took the time to see its beauty and try it out. Passing judgment on Los Angeles and Hollywood, Sebastian characterizes his attitude saying, “They worship everything and they value nothing.” A fellow musician/friend/competitor (John Legend) goads Sebastian by asking, “How are you gonna be a revolutionary if you're such a traditionalist? You hold onto the past, but jazz is about the future.” Sebastian has no time for this way of looking at jazz. When he discovers Mia equates jazz with “elevator music” or the stuff people talk over at parties, Sebastian endeavours to help her grow to love it. There is perhaps an analogy here between the historical Church liturgy and people who look at it as irrelevant or outdated. Because of her relationship with Sebastian, Mia’s attitude changes and she comes to love and appreciate jazz. 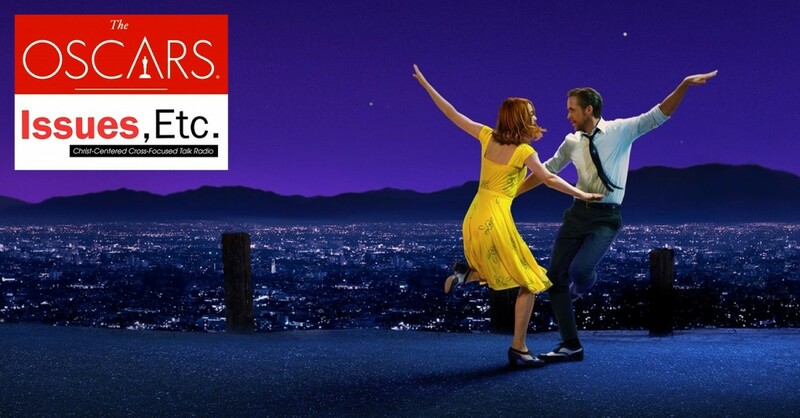 In addition to its nomination in the Best Picture categoryLa La Land is also nominated in the Best Director (Damien Chazelle), Actor (Ryan Gosling), Actress (Emma Stone), Original Screenplay (Damien Chazelle), Production Design, Film Editing, Cinematography, Costume Design, Original Score, Original Song "Audition (The Fools Who Dream)" and "City of Stars," Sound Editing, and Sound Mixing categories.